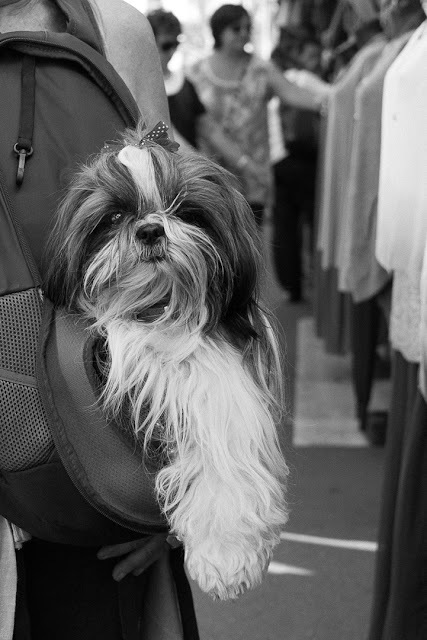 A comfortable 'front pack' for this shih-tzu as her owner walks around Ventimiglia market in Italy. These are the sweetest little dogs! Wonderful way to bring it along.